I’ve somewhat been on a DIY kids’ paint kick lately. 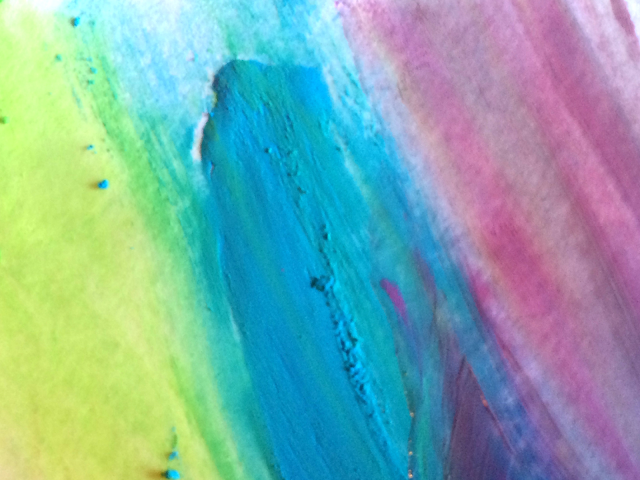 I made water colors out of tissue paper, then there was metallic ‘paint’ (it’s really not paint at all, even though it looks like it) and chalky finger paint. As much fun as paint is, I didn’t want to leave out other artsy items. Oil pastels are a favorite of mine. When I taught children’s programs at my local museum’s art studio I used these smudge-able, blend-able crayons constantly. They’re easy for young children to use, and provide plenty of opportunity to explore color mixing. Even though oil pastels are simple to smudge on their own, I wanted to make them a bit messier (in a totally good way, of course). So, I heated them up, added another ingredient, and made finger paint! 1. Peel the wrappers off of a few oil pastels. Remember, if your child uses red, yellow and blue she can mix them to make more colors—and adding white will make any color lighter. 2. 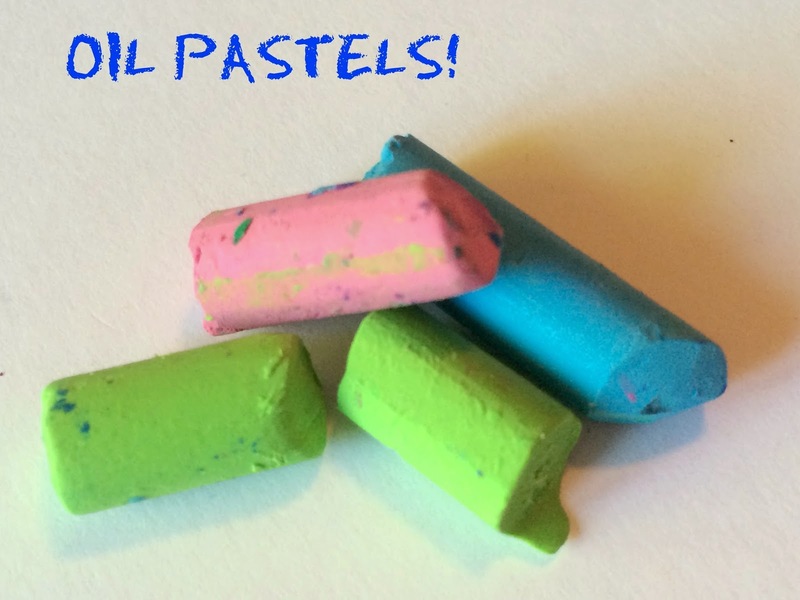 Break the oil pastels into the smallest pieces possible. At some point, they will be too hard to break any further. So, you’ll have to heat them up. 3. Heat the oil pastels. I put mine in the microwave (in a microwave safe dish) for a minute. Watch the pastels as they heat. Take them out immediately I they start bubbling or burning. Never, ever, ever, ever (did I say never ever yet?) allow your child to handle the microwaved pastels. They will be hot and could pose a burning hazard (my son constantly tells me that I’m over-protective, but that’s better than a burnt child). Another option is to out the pastels (in a container) in direct sun for the day. This will take much longer than the microwave. 4. Smoosh the pastels with a spoon. Even after cooling enough to touch them, they will still be pliable. 5. Add a teaspoon or so (add more if you are using more pastels) of vegetable oil to continue the smooshing process. Adding more oil to the already oily oil pastels will make hem smoother and easy to mush down into a paste-like paint consistency. 6. Paint away! 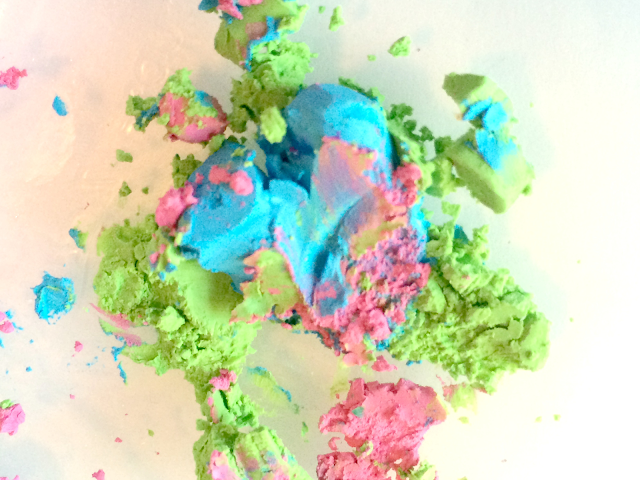 Your child can use her hands to blend, mix and create a colorfully abstract piece of art. Are you looking for more process art activities? Check out and follow my Pinterest board for ideas! 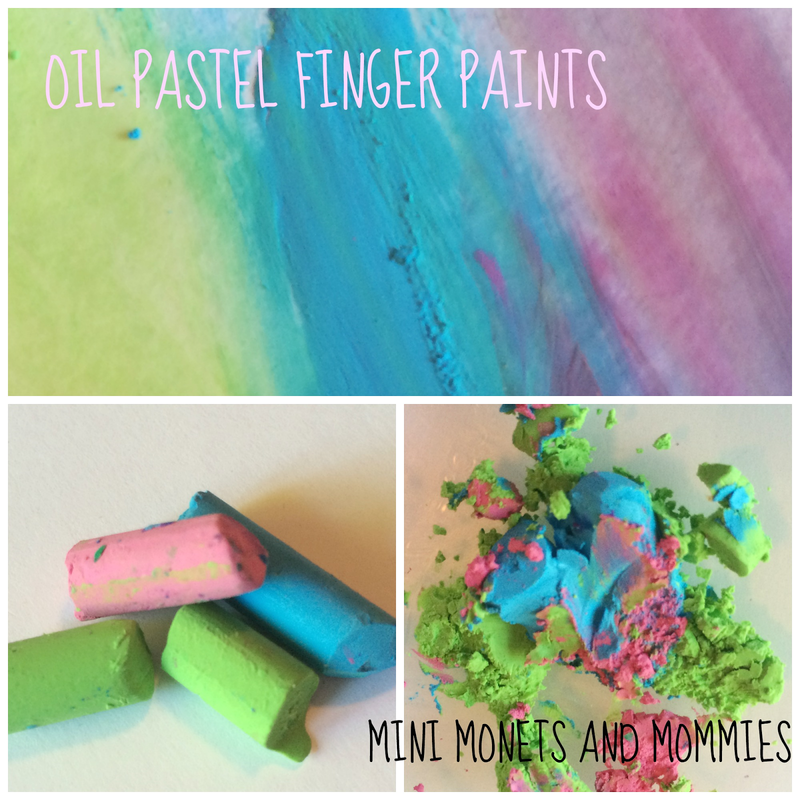 Follow Mini Monets and Mommies's board Process Art for Kids on Pinterest. I love the look of your pastel paints. So creamy & dreamy. What fun they'd be to paint with! They are! That little bit of extra oil makes them easy to spread out. Thanks!